Still using that old “But where would I park it?” excuse for not using body-propelled transportation to get to work or school? Brazilian designer Gustavo Brenck has a brilliant solution that lets you and the environment win. 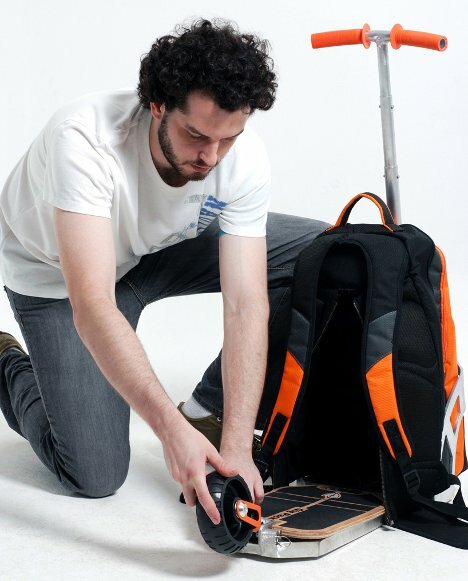 His Gig Pack is a scooter combined with a cool-looking backpack. 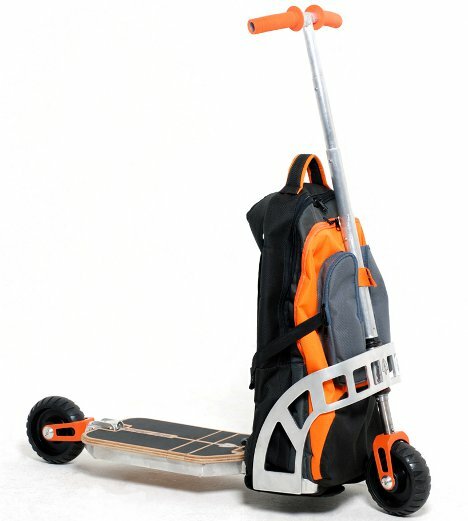 When you’re not riding, the scooter is entirely contained within the backpack other than the front grill and front wheel, both of which are attached to the front of the backpack. A small compartment opens up on the back side to let you flip down the deck and rear wheel. There’s even some room inside of the pack for other stuff, even when the scooter is in wearable mode. 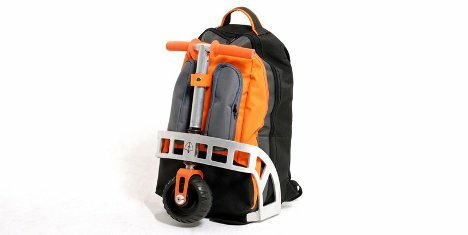 The scooter/backpack combo can hold a person of up to 90 kilos (198 pounds) and has tough rubber wheels for durability. Brenck points out that commuters will have no excuse to avoid alternative transportation when they can simply fold up their ride and take it into the office with them. The Gig Pack isn’t being produced yet, but the prototype is so slick-looking that we wouldn’t be surprised to see it in production someday soon. See more in Bikes & Cycles or under Transportation. January, 2012.